It has been a challenging week. From the more “trivial” standpoint, I moved my private office after just under seventeen years at my former location. A good time to purge, I must say. My wife was more than willing to counsel and exhort me in that endeavor. Threaten is another word that comes to mind. Also, we had another regulatory agency visit my VA this week. All went well. I’m happy. My bosses are happy. All God’s children are happy. From a far more important standpoint, though, it has been a challenging week. Earlier this week I had a series of contacts with a young veteran whom I know well–and about whom I care deeply. For purposes of anonymity, I cannot go into detail about all our recent contacts. Suffice it to say, however, that this week this man did not fare well. He has struggled with significant symptoms, both physical and emotional, since the first wave of deployments. He struggled with life before his military service. He has struggled mightily with life since. He did not have it easy coming up, not by anybody’s reckoning. He is, however, very sharp, very warm-hearted–and very, very funny, in the driest of ways. With a barely-muttered aside, he can crack me up to beat the band, no lie. I crack him up by my being so cracked up. We fit together quite nicely, thank you. And he probably has one of the most severe cases of combat trauma that I have encountered to date. He is doing so much better than he had in the past. Gone are the periods of near-dissociative episodes, in which he felt himself split apart into “good” and “bad,” warring factions that threatened to pound his very sanity into nothingness. 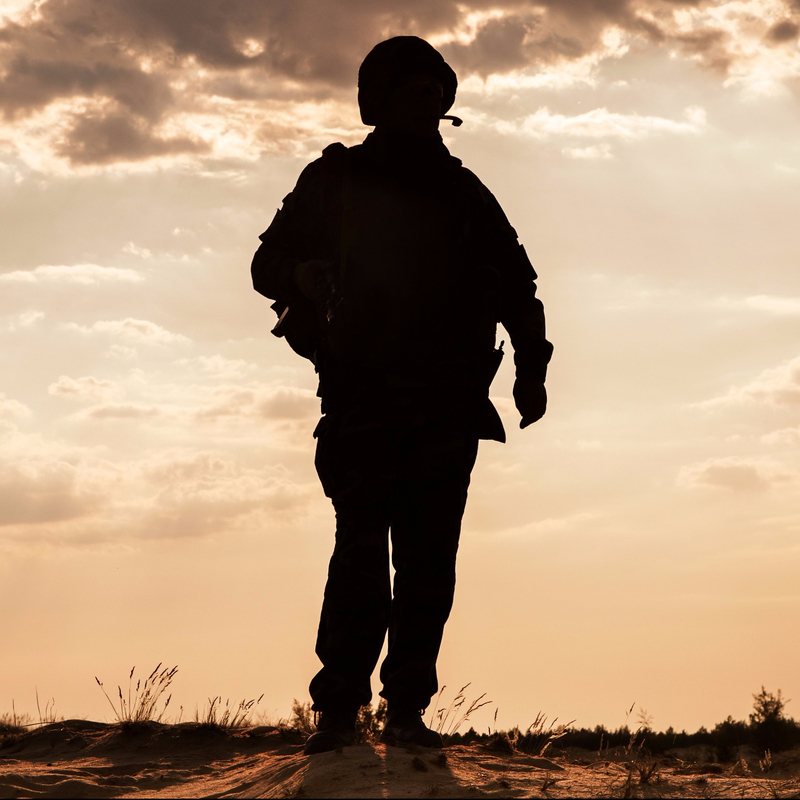 In their place are far more extended periods of calm, of hope, of fun with his kids, of dreams for a future in which he can help other veterans find their greater stability as well. Yet all can change in an instant for him. That happened this week. More than once. He called me first in near-desperate panic, begging me to help him pull together, to tell him what to do now. He listened to my thoughts. I listened to his storms. We found a way out, for that moment. But there was another moment later in the week. Same drill. He, another colleague, and I worked through it all. Another way out. Physically he is all right. His family is all right. Life has, however, become far more complicated, for all of them. Less dramatically–but no less challengingly–I met this week with another veteran whom I’ve known for a long time–and whom I also care about deeply. He is older, a veteran of a previous engagement. He has suffered both from combat trauma and from the longstanding consequences of traumatic brain injury. In spite of the latter, however, he has managed to complete a college degree in a science-related subject, and he is pursuing graduate work with success. He has had to work hard–and I mean, hard. Correlations and causations that had once come so easily to his understanding are now far more challenging to discern, at least with any rapidity. He has to read and re-read what he used to skim. He has to keep the reminders, the sticky notes, the periodic reviews far more at hand, far more routinely. He had a disappointment this week, a major one. He will move forward. He will succeed. Yet this one hurt. And neither of us will forget it. I wasn’t quite sure what to say, but given that he was well-acquainted with my academic provenance, I could only be so self-effacing. He paused again. His eyes bore right into mine. Silence between us. You can bet that I was feeling those eyes smack down into the center of my peritoneum. My gut. “You can’t even let yourself imagine it, can you?” he finally said, softly–yes, accusingly as well, but only somewhat, truly only somewhat. He was less interested in making a point. He was more interested in seeing whether I’d try to imagine. It’s an odd experience when one interacts with a patient while trying to remain aware of one’s own shortcomings, challenges–come out and say it, one’s ultimate fears. Even though only a second or two might pass between me and a patient, time can seem to go on forever in my head, hours of self-confrontation, wondering whether what I might say is for the patient’s well-being–or for my own self-soothing. He didn’t look self-satisfied. He didn’t look accusatory. He just looked at me, barely nodding his head. He glanced down, as if somehow to say to himself, “OK. Check.” Then he started talking about another subject. Soon we were laughing–a joint activity that we have only recently come to enjoy together. Nothing more was said about scrambled thoughts and painful recollections. People sometimes ask me, “How do you do it, listen to all this?” Honestly, I don’t, for the most part, find it that hard. More often than not, a painful series of moments will lead, at least eventually, to less painful ones, to “truths” that become less fixed, to possibilities that will lead, at least somewhat, to new realities. Not all realities, however, as as forgiving. I can indeed find myself speechless before certain realities: realities about illnesses that can still, in spite of one’s best efforts, overwhelm a man or woman and set back even the most determined of combat veterans; realities about neurologic capacities that will indeed grow–but only so much, and never back to a place of halcyon, intellectual ease; realities that force me to face men and women whom I care about and force me to acknowledge, even silently, that I have indeed been spared their suffering, that I have in abundance what they can only remember in sighs: an emotional stability that can keep the days from exploding at a moment’s notice; a logical ease, both inductive and deductive, that can waltz from point A to point B to conclusion C as gracefully as a modern-day Astaire. Speechless does not mean incapacitated. But it is speechless, nonetheless. I dare not claim what I cannot deliver, an “understanding” that can never be anything even close. Thankfully–truly, thankfully–the men and women I serve never hold my ignorance against me. If anything, most of them appreciate that I don’t try to get it more than I can. But that doesn’t necessarily make my gut feel better. And that I have to face. For them. For me. « Location, Location . . .